Which jobs require which character traits? 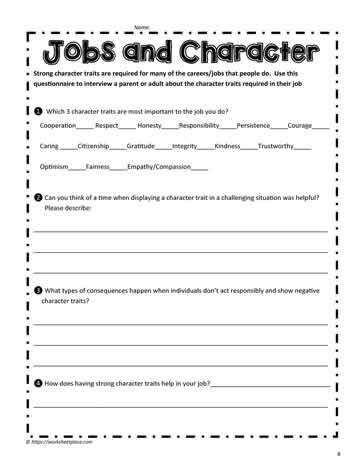 Students can interview their parents to determine which character traits are required in their jobs. Have fun teaching character education with these free resources.